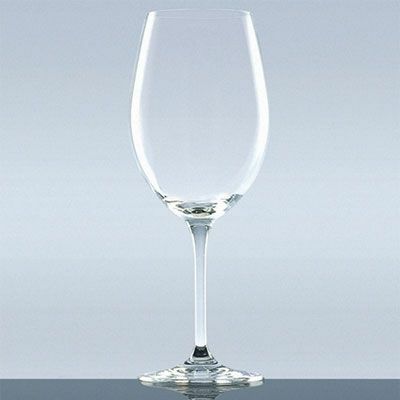 These popular glasses from the In Vino Veritas range are tall and incorporate a large bowl. They can be used for all types of Red Wine but are perfect for Bordeaux. The long stem gives the glass an elegant appearance, is completely seamless and thus much more break-resistant than those produced in conventional processes. The new glass generation comes very close to the blown crystal quality. These glasses are also available in combination sets along with Chianti, Champagne and Water glasses - Combination Set 1 & Combination Set 2. This set of 4 Bordeaux wine glasses are practical and robust enough for everyday use, whilst remaining elegant enough to use for special occasions. I would recommend them to anyone seeking a good all-round red wine glass. By submitting this form you agree that we will be able to use your submission, should we approve it, on our website. We reserve the right to cancel certain reviews. Perfect for every day use!